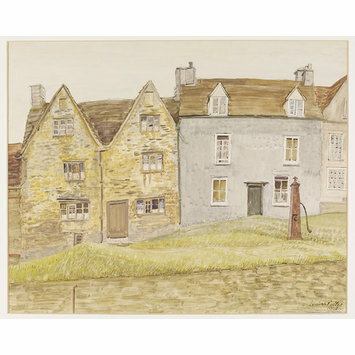 Watercolour; signed and dated. View of two houses on the sloping green, one with crooked windows. A standpipe is at right. 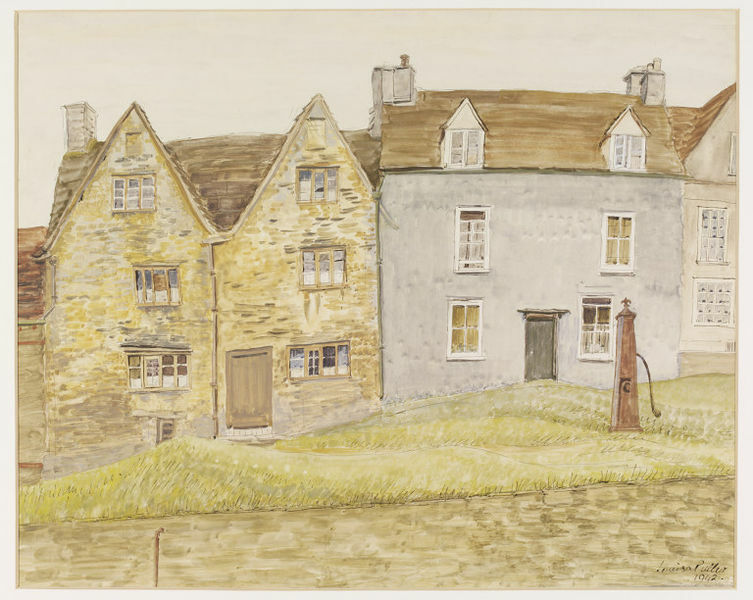 Watercolour by Louisa Puller, 'Houses on the Green, Tetbury', from the Recording Britain Collection (Gloucestershire); England, 1942.